Carr & Day & Martin Stain Master Equimist Spray gets rid of stable stains and green spots without the need for bathing or hours of elbow grease! Stain Master is formulated to remove stains whilst also brightening white markings and is therefore ideal for use before a show. 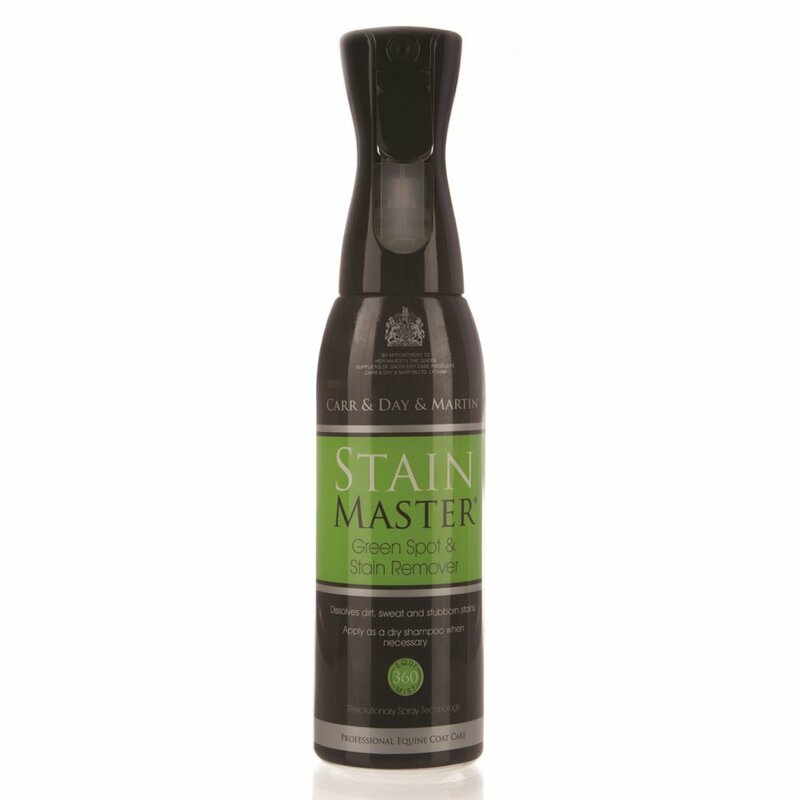 Stain master is packaged with equimist 360' technology which offers a quieter spray than traditional trigger bottles. Equimist can be sprayed at all angles making it perfect for stable stains under the tummy and in other hard to reach areas. This Carr & Day & Martin stain remover spray can be sprayed directly onto the coat, massaged into the stain with a damp sponge or cloth and then wiped clean. For stains on the face apply Carr & Day Martin Stain Master with a cloth. Results are immediate and this 600ml bottle will last 3-4 months dependant on usage.